The Varsity Track and Field team closed the 2017 season with strong performances at both the SGIS Championships and the ESC Championships. 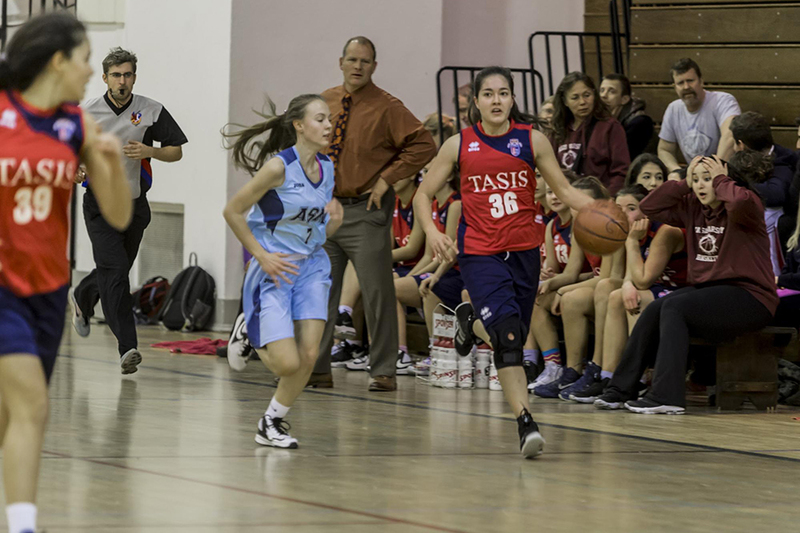 At the TASIS-hosted SGIS Championships in early May, the shorthanded girls’ and boys’ teams managed to place third and fourth, respectively. Raffaella Barros '19 placed in each event she entered, taking third in both the 1500m (5:48) and 800m (2:43) races and second in the high jump with a leap of 1.25m before helping both the 4x100m relay and the 4x400m relay teams take third. Giuliana Garcia '17 competed in her final TASIS competition and outdid herself by medaling in both her events, earning second place in the discus (15.74m, a personal best) and third place in the shot put (6.93m). Sofia Braga '18 found the podium as well with a third-place showing in the 100m Hurdles (23.36). In the boys championships, newcomer Tennessee Hildebrand '17 set TASIS records in the 1500m run (4:35) and the 800m run (2:13), finishing second and third in the events. Can Basaran '18 set a new TASIS record on his way to a victory in the shot put (11.3m) and also placed third in the discus (28.12m). Eren Dana '19 captured a bronze medal in the high jump with a personal best 1.55m. 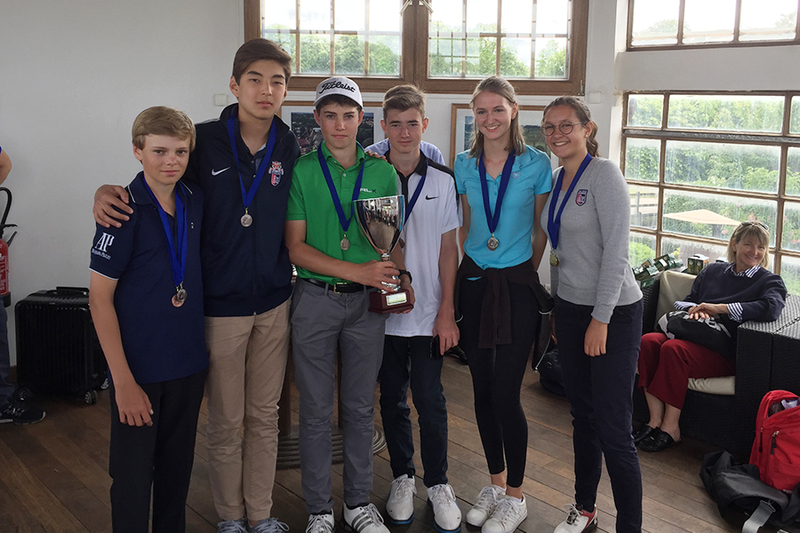 With reinforcements on hand at the ESC Championships in Munich two weeks later, the Tigers posted an impressive third-place finish overall, with the girls topping the rest of the field and the boys taking fourth. Barros again led the girls, winning the 3000m race with ease and setting a new ESC and TASIS record (12:13) in the process. She then went on to win the 800m (2:44), finished as runner up in the 1500m with a personal best of 5:43, and teamed with Diana Dulina '18, Frida Larsson '18, and Airi Barnes '20 to take second in the 4x400m relay. Barnes, Larsson, Zoe Ghilardi '18, and Greta Apollonia '17 pulled off an extraordinary upset to win the 4x100m relay—establishing a TASIS record (57:14)—Braga finished second in the discus throw (17.36m), and Ghilardi took second in the shot put (7.12m). Team MVP Hildebrand anchored the boys’ side, destroying the ESC record and setting a new TASIS record in the 3000m (9:50), winning the 800m easily (2:13) while tying his personal best and the TASIS record, taking second in the 1500m with a time of 4:37, and teaming with Dana, Hankeyoul Lee '18, and Mauricio Talayero '18 to set a new TASIS record in the 4x400m relay (4:03). Dana, Lee, Talayero and newcomer Karim Mosho '18 also established a new school record in the 4x100m (48:98), and Mosho reached the podium in the 110m hurdles (third place, 19:50) and the discus (third place, 23.80m). Throwing specialist Basaran did his usual and emerged as the champion in the shot put with a throw of 11.49m. 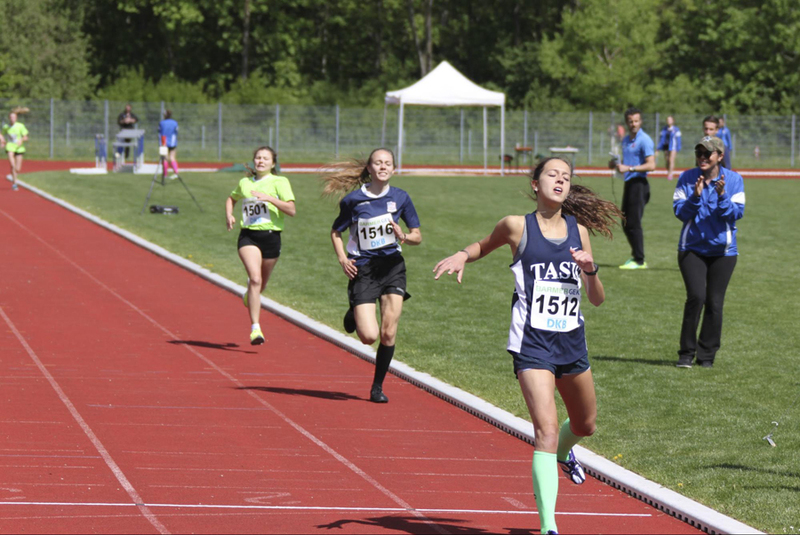 Many members of the both Middle School and High School Track and Field teams also competed in the NISSA Cross Country Championships, which TASIS hosted for the first time back in early April. Hildebrand finished second amongst all 54 High School runners with a blistering time of 12:50, and Barros completed the 3.2km course in 15:19 to top the girls’ field. Juri Vips ’19 (13:25) and Middle Schooler Fumiya Imai ’21 (13:28) also placed in the top five overall. In only the third season of existence, the 2017 TASIS Varsity Golf team had its best spring yet. The program has grown considerably in a short time as the "new" TASIS golfer is younger and already quite familiar with the game. Our current players are predominantly day students, and thus they have access to country clubs, golf professionals, and local tournaments that ultimately make them very well prepared for the spring golfing season on the varsity level. Our third-place finish (out of 14 teams) at the SGIS Championship in Gruyères in late April was a harbinger of things to come as we would continue our strong performance in Paris at the ESC Championship, finishing second (out of four teams). Captained by freshman Cristian Riis '20, the team quickly built an identity as unflappable against both inclement weather and players with single-digit handicaps. When rain and cold temperatures buried other teams at the SGIS Championship, we withstood the weather and had some great performances by Skye Rourke '20, Francesco Attili '22, and William Stanford '21. 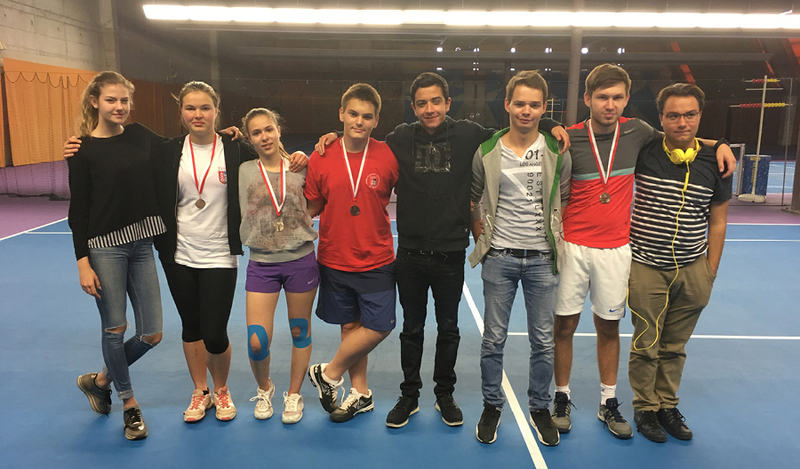 When our adversaries were the low handicappers from the International School of Lausanne at the ESC Championship, we battled and battled, and while a few of our players did outplay their opponents, we fell just short of capturing first place. Again, the second-place finish was led by team MVP Rourke, Ally Pohl '19, and Stanford '21. This young team has some great years ahead, and I certainly predict that they will take home a first-place trophy in the not-too-distant future. Despite a few canceled matches and some other hiccups to our practice and competition schedule, the TASIS Varsity Tennis team enjoyed a lot of success at SGIS and as a team in 2017. The players took everything in stride, never letting anything rile them up or cause them to complain. Tennis is a mental game, so their focus and determination certainly helped them reach their potential on the court. Our biggest competition this year was the SGIS Doubles tournament in Leysin in early May. Our #1 girls team of Arina Kolesnikova '18 and Sonja Artemieva '19 was absolutely dominant, losing only two games en route to a first-place finish in the tournament. In a more challenging draw, the #1 boys team of Nadir Timerbaev '19 and Kirill Krupenin '17 managed to place fourth. In the Sunday Mixed Doubles tournament, TASIS played excellent tennis. Two of our three teams earned medals and the overall game score for all three teams was a favorable 62-44. In the end, the #1 team of Kolesnikova and Timerbaev earned second place and the #2 team of Artemieva and Can Ferhatoglu '20 earned third place. In the end, TASIS occupied two of three spots on the podium and represented themselves very well. 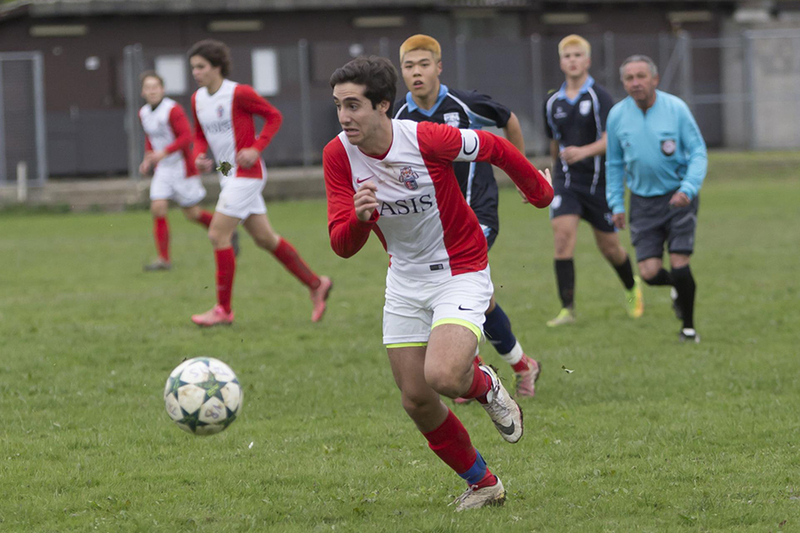 With a young team and many returners for next year, TASIS is poised to repeat its success as a team. Many thanks to the players and Assistant Coach Mario D'Azzo for a wonderful season. See more photos from the game against American School of Milan. This year's Varsity Lacrosse team was a cohesive and motivated group of beginners with a few experienced veterans. The veterans helped teach the beginners about the sport, and everyone improved dramatically. 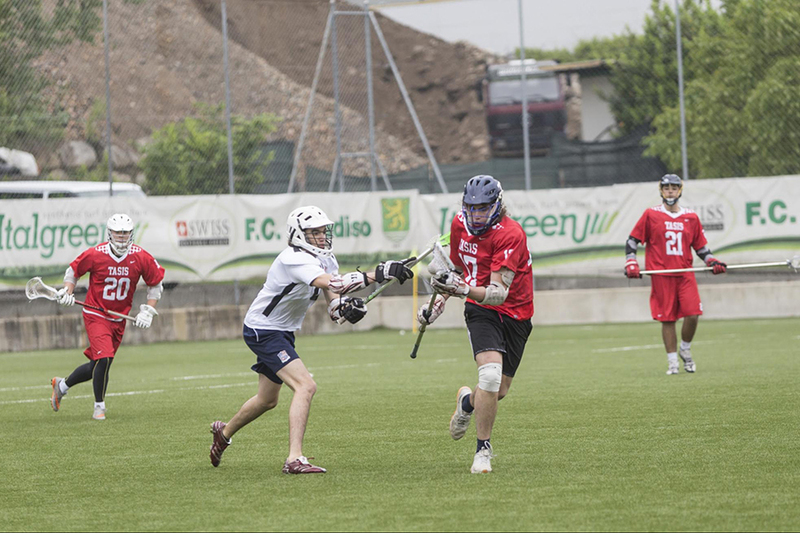 Their first game against American School of Milan, the Tigers lost 5-4. The rest of the games were at a tournament in England. Since the team was competing against much more experienced teams with deep benches, they were not able to come away with a victory, but everyone had a good time and learned a lot. Most of the team's goals were scored by Greg Alexander '18 and Devin Hohman '17, but goals were also scored by Bryan Soh '18, Jordan White '19, Hugo Rourke '17, and Tyler Miller '18. Through their perseverance and hard work this year, this group of athletes has laid the groundwork for a more successful season next year. Watch a highlight video from the 2017 spring season. See all athletics photo galleries from the 2016–2017 school year.